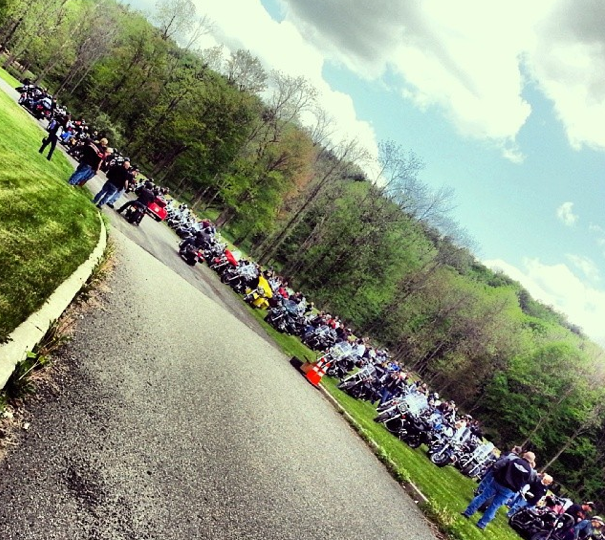 Thanks to you, Don’t Be Cruel was able to attend the Puppy Rescue Motorcycle Ride at Tramontin Harley Davidson in Hope, NJ. The ride was to benefit the Puppy Rescue Mission whose mission is to fundraise and assist in pet rescue, foster and re-homing when needed, in particular pets of soldiers, especially those deployed in war zones. They assists with requests, logistics, administration and fund-raising for the adopted stray dogs of war rescued by and bonded with soldiers. This may include vet care, supplies, transport and related issues. They work with or through other organizations that help our soldiers bring their companion animals home from war. Don’t Be Cruel donated almost $400.00 worth of collars and leases, click n stays, poop bags and pods. 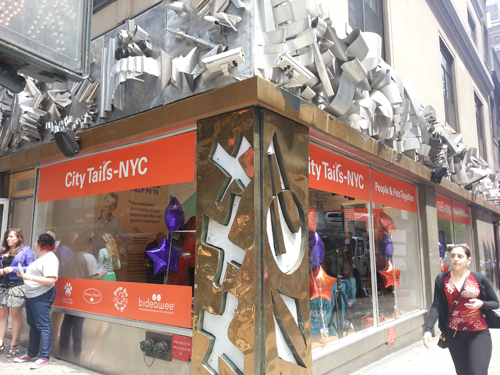 We couldn’t have done it without all of you – our supporters and loyal customers! To continue helping rescue organizations such as the Puppy Rescue Mission, check out our web store! This entry was posted in Donations, Local NJ/NY Events and tagged Hope, NJ, Puppy Rescue Mission, Tramontin Harley Davidson on May 19, 2014 by Belkis Cardona-Rivera. This month we are happy to announce that all proceeds raised in April will be going to the Col. Potter Cairn Rescue Network. The Corporation, COL. POTTER CAIRN RESCUE NETWORK (CPCRN), was formed for the charitable purposes of rescuing purebred Cairn Terriers and Cairn Terrier mixes which are homeless or soon-to-be-homeless, including, without limitation, those found in animal shelters or similar facilities and those released by their owners due to change in family circumstances or otherwise, as well as purebred Cairn Terriers and Cairn Terrier mixes which are being used as breeding stock by so-called puppy mills and backyard breeders, including those disposed of in puppy mill auctions; facilitating the pick-up and transport of such dogs; arranging for their spay/neuter as well as for the provision of other appropriate veterinary care for them; rehabilitating and fostering such dogs; seeking applications for and screening permanent homes for such dogs; facilitating their adoption; and educating the public about responsible Cairn Terrier care and ownership. Check out their “We Promise This…” video! This entry was posted in Animal Rescue Organizations, Donations and tagged animal charity, animal fundraiser, Col. Potter Cairn Rescue Network, Don't Be Cruel Animal Rescue on April 15, 2014 by Belkis Cardona-Rivera. We are happy to announce that for the month of June, we will donate all online sales from our web store to the Halo Pet Foundation. The Foundation’s mission is to enhance the well-being of pets and the people who love them. Inspired by the love for animals, they strive to help pets and their families live longer, happier, healthier lives together. 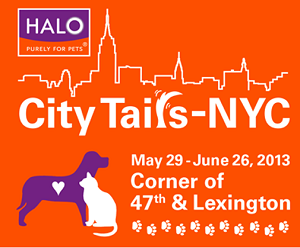 From May 29th until June 26, Ellen DeGeneres’ natural pet food company, Halo Pets, is presenting a month-long “Pop Up Shop” promotion in New York City on 47th and Lexington Ave. It’s called “City Tails – NYC” and it will promote people and pets together, where hundreds of thousands of passer-by can “Pop in and do good” for pets! Visitors can meet adoptable pets from local shelters, enter weekly raffles, and receive fabulous gifts with their donations — including authentic Ellen Show merchandise, bandanas, wristbands and more. Plus, 100% of all donations to the Halo Pet Foundation are granted to animal welfare and rescue groups. Halo, Purely for Pets underwrites all operating expenses. I am happy to announce that I will also be at the store to help spread the word about adoption and letting people know how to “do good” in the store. Hope to see you there in June! This entry was posted in Donations, Local NJ/NY Events and tagged City Tails - NYC, Halo Pet Foundations on June 12, 2013 by Belkis Cardona-Rivera. 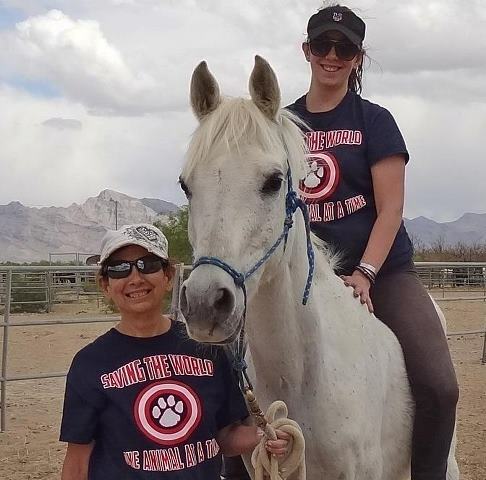 Thanks to everyone who purchased from the Don’t Be Cruel store last month, we were able to sponsor a horse in need from the Shiloh Horse Rescue and Sanctuary in Las Vegas, Nevada. Cloud, the beautiful white horse, put on some weight and now is much stronger than he was a month ago. He’s so healthy he can now be used to give riding lessons to kids and adults! That’s right! As a Guardian Angel “graduate,” Cloud prepares to come out of retirement and become a lesson horse. Check out pictures from Cloud’s session with Daria, Shiloh’s resident basic horsemanship trainer. We are happy that Cloud is doing well. 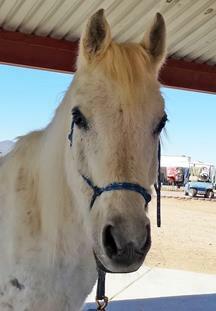 To sponsor a horse, please visit Shiloh’s website. Remember, 100% of proceeds from Don’t Be Cruel sales go to animals in need like Cloud here. 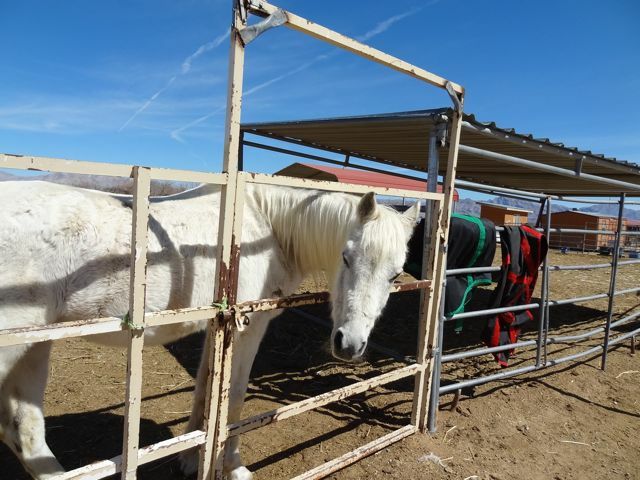 This entry was posted in Animal Rescue Organizations, Animals Around the World, Donations and tagged Cloud the horse, Shiloh's Horse Rescue on May 10, 2013 by Belkis Cardona-Rivera.